Gold continues to be the preferred choice for many clinicians due to its longevity, functional success, and biocompatiblity. The gold team at Pro Dental Arts is trained in the PK Thomas tripodization technique, as well as the Pankey cusp fossae technique. Utilizing various percentages of gold content (type II to type IV, semi-precious to high noble), quality and precision is built into every restoration we fabricate. Porcelain-fused-to-metal restorations continue to serve as one of dentistry’s primary elements, restoring function while maintaining aesthetics. With over 50 years in the dental profession, Pro Dental Arts small team of PFM technicians have acquired substantial experience in many different porcelain-fused-to-metal fabrication techniques; making them more than capable of providing a high-quality PFM every time. 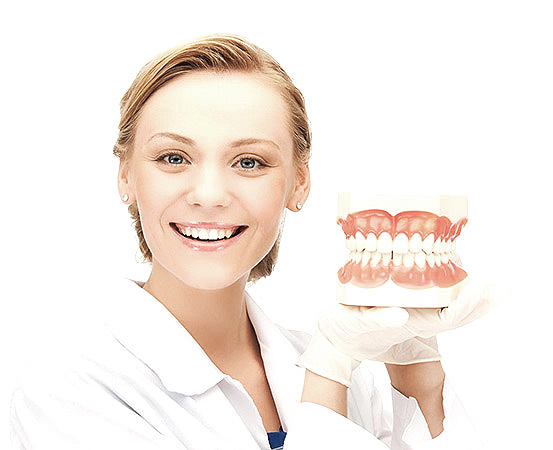 Pro Dental Arts offers a comprehensive dental implant department. Our small team approach enables clinicians to choose any combination of materials for every implant requirement. These technicians are highly skilled in the intricacies required in implant fabrication, including precision attachments and specialized clasping to dentures and partials. In addition to these dedicated skills, we continue to foster working relationships with all of the implant manufacturers to continually educate our technicians in the latest implant technology, furthering our ability to meet your implant treatment needs. Because of these relationships, our technicians have acquired the knowledge to help you choose the right implant system for each individual case. Diagnostic Wax-Ups are a valuable tool for any smile makeover because they give the patient an accurate preview of how his or her finished case will look. With this technique, the lab removes the desired amount of tooth structure from the preoperative model and the restoration is waxed onto the patient’s actual prepped teeth. This method accurately shows the patient, dentist and lab technician what is realistically attainable for the patient. The Diagnostic Wax-Up also helps many patients determine whether to pursue treatment because they can compare this waxed-up model to their existing smile. For this reason, all Diagnostic Wax-Ups are fabricated from white stone models with white wax to produce the most lifelike result possible. Now your Diagnostic Wax-Up can be scanned, digitized and stored for duplication in the final restoration. Simply request that we “scan and save” your Diagnostic Wax-Up information when you send us your case. This diagnostic service requires five working days and provides you with the ultimate treatment planning tool for consistently superior results. The IPS e.max all-ceramic system covers the entire spectrum of indications ranging from thin veneers to 10-unit bridges. The IPS e.max restorations are highly esthetic and exhibit outstanding mechanical strength. Depending on the indication and the required strength, dentists can choose the most suitable all-ceramic material. Lithium disilicate (LS2), which demonstrates superb esthetic properties, is used to restore single teeth in the anterior and posterior region. The zirconium oxide ceramic IPS e.max ZirCAD, however, is the material of choice for large restorations, for example posterior bridges, which are exposed to high masticatory forces. 3M™ ESPE™ Innovation now brings you Full Contoured Zirconia Restorations. These glazed Zirconia units have no ceramic layering and give you strength and esthetics of Zirconia with minimal tooth reduction. Due to their high strength, 3M™ Full Contoured Restorations are suited for cases with only little inter occlusal space. Now you can restore a tooth with as little as 0.6 mm occlusal reduction in its preparation. You can offer patients with bruxisim a tooth coloured and strong restoration (more than 1000 mpa) without porcelain overlay. With 3M™ Full contoured Restorations, you can now give your patients an adequate tooth coloured replacement of PFM or Full Cast Metal Restorations. Our platinum foil ceramic veneers are ideal for cases requiring minimal preparation (.2-.3mm). These polychromatic porcelain veneers are vital and have an excellent fit. What’s more, preparations can be kept entirely in enamel in many cases. We hand layer the ultra esthetic Noritake EX-3 porcelain for these cases. They are extremely esthetic and versatile. For example they are excellent covering stain teeth or dark dentin while effectively raising the value of these teeth. We can also produce IPS e.max veneers to a thickness of .3mm or less! All of our IPS e.max veneers are pressed so that you receive the strongest restorations possible. This means that they are easier for the clinician to handle during the cementation process.